TG&V is shorthand for ‘tongue and groove with a v-joint’. TG&V cladding is a machined profile supplied with a smooth finish and an interlocking edge detail to create a waterproof façade. The TG&V profile creates a clean linear appearance which is ideal for contemporary new-builds and modern extensions to older properties. 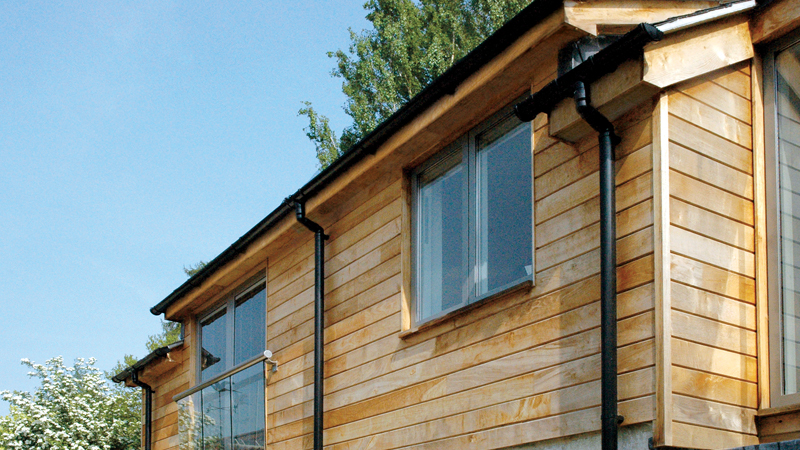 TG&V cladding is most commonly fixed horizontally although it can be fixed vertically. Our standard range of TG&V profiles offers a choice of joint details to suit specific design requirements. Alternatively we can produce bespoke profiles to customer specifications. All air-dried species can be machined to TG&V. 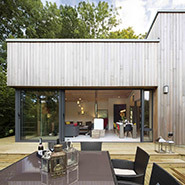 The most popular choices are Siberian larch and Canadian western red cedar. Begin at one corner, with the tongue facing away, ensuring that the first board is vertical. Nail as with the horizontal attachment.